Bran Stark is the Three-Eyed Raven, who can see every moment of the past, present and future. It’s been a long, cold two years without “Game of Thrones” in our lives, but the show finally returned to HBO Sunday night with "Winterfell." With just a touch of gore, dragons, and reunions galore, it had everything you could possibly want in a “GOT” episode. And it received a fresh rating of 97 percent from Rotten Tomatoes, ranking it right behind the Season 1 premiere, "Winter is Coming," which received a 100 percent rating. We finally saw a reunion for the Stark children. Jon knows his true lineage now. 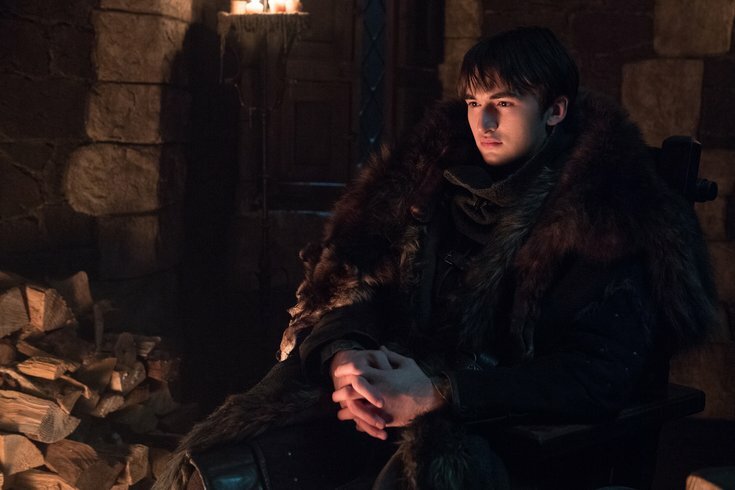 Samwell Tarly delivered the news after finding out from Daenerys that – oh, yeah, right, she actually killed his brother and father because they wouldn't bend the knee. Also, the North is pretty mad Jon bent the knee, including Sansa. The premiere was well received and viewers took to Twitter to share their reactions to all the best moments in the final season's premiere. Everyone was most excited about the Stark kids being together again, especially Ayra and Jon's reunion. This reunion also brought about a reunion no one really saw coming. Bran and Jaime's seeing each other for the first time since the Season 1 premiere. Also, just the general reaction to Bran in the episode. Meanwhile, in King's Landing, Cersei is really upset about the lack of elephants in her life. That whole thing between Euron Greyjoy and Cersei. Though she makes one hell of a statement to Euron Greyjoy about her worth ... kinda before giving in a little too soon, and then Euron made a comment about putting a baby in her? Yeah. Ew. Euron: I’m going to get you pregnant!! Daenerys admitted to Sam that she killed his brother and father – and boy, was that awkward. It also didn't take long after for Sam to tell Jon his true lineage. Everyone was a bit shook after seeing Lord of Umber, Ned, hanging on the wall surrounded by cold limbs shaped into a spiral. Beric comments, "It's a message from the Night King." Oy. They really had Jon smirk at brave Young Lord Umber, so the audience formed a connection with him. Then, killed him 20 minutes later nailed to a flesh made White Walker gang sign. Peak Game of Thrones. Episode 2 will airs 9 p.m. Sunday, April 21 on HBO.